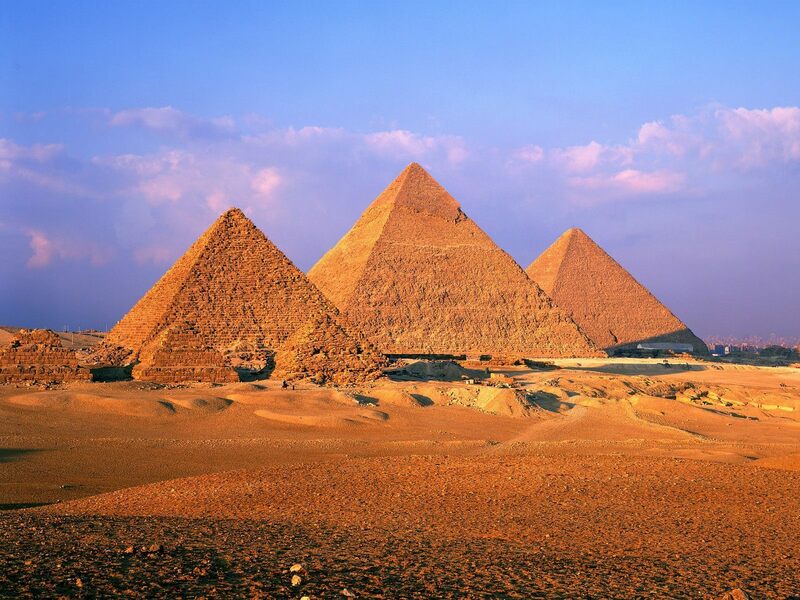 Pyramids of Giza. . HD Wallpaper and background images in the Egypt club tagged: egypt pyramids giza desert contrast wallpaper orange blue sand.